Europe (pronunciation: /ˈjʊərəp/ yewr-əp or /ˈjɜrəp/ yur-əp) is, by convention, one of the world's seven continents. Comprising the westernmost peninsula of Eurasia, Europe is generally 'divided' from Asia to its east by the watershed divides of the Ural and Caucasus Mountains, the Ural River, the Caspian and Black Seas, and the waterways connecting the Black and Aegean Seas. Europe is bordered by the Arctic Ocean and other bodies of water to the north, the Atlantic Ocean to the west, the Mediterranean Sea to the south, and the Black Sea and connected waterways to the southeast. Yet the borders of Europe—a concept dating back to classical antiquity—are somewhat arbitrary, as the primarily physiographic term "continent" can incorporate cultural and political elements. Europe is the world's second-smallest continent by surface area, covering about 10,180,000 square kilometres (3,930,000 sq mi) or 2% of the Earth's surface and about 6.8% of its land area. Of Europe's approximately 50 states, Russia is the largest by both area and population (although the country has territory in both Europe and Asia), while the Vatican City is the smallest. Europe is the third-most populous continent after Asia and Africa, with a population of 733 million or about 11% of the world's population. Europe, in particular Ancient Greece, is the birthplace of Western culture. It played a predominant role in global affairs from the 16th century onwards, especially after the beginning of colonialism. Between the 16th and 20th centuries, European nations controlled at various times the Americas, most of Africa, Oceania, and large portions of Asia. Both World Wars were largely focused upon Europe, greatly contributing to a decline in Western European dominance in world affairs by the mid-20th century as the United States and Soviet Union took prominence. During the Cold War, Europe was divided along the Iron Curtain between NATO in the west and the Warsaw Pact in the east. European integration led to the formation of the Council of Europe and the European Union in Western Europe, both of which have been expanding eastward since the fall of the Soviet Union in 1991. Europa regina map from Münster (1570). The British Isles and Scandinavia are not included in Europe proper. The use of the term "Europe" has developed gradually throughout history. In antiquity, the Greek historian Herodotus mentioned that the world had been divided by unknown persons into the three continents of Europe, Asia, and Libya (Africa), with the Nile and the River Phasis forming their boundaries—though he also states that some considered the River Don, rather than the Phasis, as the boundary between Europe and Asia. Europe's eastern frontier was defined in the 1st century by geographer Strabo at the River Don Flavius and the Book of Jubilees described the continents as the lands given by Noah to his three sons; Europe was defined as stretching from the Pillars of Hercules at the Strait of Gibraltar, separating it from Africa, to the Don, separating it from Asia. A cultural definition of Europe as the lands of Latin Christendom coalesced in the 8th century, signifying the new cultural condominium created through the confluence of Germanic traditions and Christian-Latin culture, defined partly in contrast with Byzantium and Islam, and limited to northern Iberia, the British Isles, France, Christianized western Germany, the Alpine regions and northern and central Italy. The concept is one of the lasting legacies of the Carolingian Renaissance: "Europa" often figures in the letters of Charlemagne's cultural minister, Alcuin. This division—as much cultural as geographical—was used until the Late Middle Ages, when it was challenged by the Age of Discovery. The problem of redefining Europe was finally resolved in 1730 when, instead of waterways, the Swedish geographer and cartographer von Strahlenberg proposed the Ural Mountains as the most significant eastern boundary, a suggestion that found favour in Russia and throughout Europe. Europe is now generally defined by geographers as the westernmost peninsula of Eurasia, with its boundaries marked by large bodies of water to the north, west and south; Europe's limits to the far east are usually taken to be the Urals, the Ural River, and the Caspian Sea; to the south-east, the Caucasus Mountains, the Black Sea and the waterways connecting the Black Sea to the Mediterranean Sea. Because of sociopolitical and cultural differences, there are various descriptions of Europe's boundary. For example, Cyprus is approximate to Anatolia (or Asia Minor), but is often considered part of Europe and currently is a member state of the EU. In addition, Malta was considered an island of Africa for centuries, while Iceland, though nearer to Greenland (North America), is also generally included in Europe. Sometimes, the word 'Europe' is used in a geopolitically limiting way to refer only to the European Union or, even more exclusively, a culturally defined core. On the other hand, the Council of Europe has 47 member countries, and only 27 member states are in the EU. In addition, people living in insular areas such as Ireland, the United Kingdom, the North Atlantic and Mediterranean islands and also in Scandinavia may routinely refer to "continental" or "mainland" Europe simply as Europe or "the Continent". In ancient Greek mythology, Europa was a Phoenician princess whom Zeus abducted after assuming the form of a dazzling white bull. He took her to the island of Crete where she gave birth to Minos, Rhadamanthus and Sarpedon. For Homer, Europe (Greek: Εὐρώπη, Eurṓpē; see also List of Greek place names) was a mythological queen of Crete, not a geographical designation. Later, Europa stood for central-north Greece, and by 500 BC its meaning had been extended to the lands to the north. The name of Europa is of uncertain etymology. One theory suggests that it is derived from the Greek roots meaning broad (εὐρ(υ)- eur(u)-) and eye (ὤψ/ὠπ-/ὀπτ- ōps/ōp-/op(t)-), hence Eurṓpē, "wide-gazing", "broad of aspect" (compare with glaukōpis (γλαυκῶπις 'grey-eyed') Athena or boōpis (βοὠπις 'ox-eyed') Hera). Broad has been an epithet of Earth itself in the reconstructed Proto-Indo-European religion. Another theory suggests that it is actually based on a Semitic word such as the Akkadian erebu meaning "to go down, set" (cf. Occident), cognate to Phoenician 'ereb "evening; west" and Arabic Maghreb, Hebrew ma'ariv (see also Erebus, PIE *h1regʷos, "darkness"). However, M. L. West states that "phonologically, the match between Europa's name and any form of the Semitic word is very poor". Most major world languages use words derived from "Europa" to refer to the "continent" (peninsula). Chinese, for example, uses the word Ōuzhōu (歐洲), which is an abbreviation of the transliterated name Ōuluóbā zhōu (歐羅巴洲); this term is also used by the European Union in Japanese-language diplomatic relations, despite the katakana Yōroppa (ヨーロッパ?) being more commonly used. However, in some Turkic languages the originally Persian name Frangistan (land of the Franks) is used casually in referring to much of Europe, besides official names such as Avrupa or Evropa. Homo georgicus, which lived roughly 1.8 million years ago in Georgia, is the earliest hominid to have been discovered in Europe. Other hominid remains, dating back roughly 1 million years, have been discovered in Atapuerca, Spain. Neanderthal man (named for the Neandertal valley in Germany) appeared in Europe 150,000 years ago and disappeared from the fossil record about 28,000 BCE, with this extinction probably due to climate change, and their final refuge being present-day Portugal. The Neanderthals were supplanted by modern humans (Cro-Magnons), who appeared in Europe around 43 to 40 thousand years ago. There is genetic evidence of limited interbreeding between the two species or subspecies; Neanderthal DNA is estimated to account for 1-4% of the genome of human populations outside of sub-Saharan Africa. Modern humans and Neanderthals share 99.7% of their respective genomic base pairs. The European Neolithic period—marked by the cultivation of crops and the raising of livestock, increased numbers of settlements and the widespread use of pottery—began around 7000 BC in Greece and the Balkans, probably influenced by earlier farming practices in Anatolia and the Near East. It spread from South Eastern Europe along the valleys of the Danube and the Rhine (Linear Pottery culture) and along the Mediterranean coast (Cardial culture). Between 4500 and 3000 BC, these central European neolithic cultures developed further to the west and the north, transmitting newly acquired skills in producing copper artefacts. In Western Europe the Neolithic period was characterized not by large agricultural settlements but by field monuments, such as causewayed enclosures, burial mounds and megalithic tombs. The Corded Ware cultural horizon flourished at the transition from the Neolithic to the Chalcolithic. During this period giant megalithic monuments, such as the Megalithic Temples of Malta and Stonehenge, were constructed throughout Western and Southern Europe. The European Bronze Age began in the late 3rd millennium BC with the Beaker culture. The European Iron Age began around 800 BC, with the Hallstatt culture. Iron Age colonisation by the Phoenicians gave rise to early Mediterranean cities. Early Iron Age Italy and Greece from around the 8th century BC gradually gave rise to historical Classical antiquity. Ancient Greece had a profound impact on Western civilisation. Western democratic and individualistic culture are often attributed to Ancient Greece. The Greeks invented the polis, or city-state, which played a fundamental role in their concept of identity. These Greek political ideals were rediscovered in the late 18th century by European philosophers and idealists. Greece also generated many cultural contributions: in philosophy, humanism and rationalism under Aristotle, Socrates and Plato; in history with Herodotus and Thucydides; in dramatic and narrative verse, starting with the epic poems of Homer; and in science with Pythagoras, Euclid and Archimedes. Another major influence on Europe came from the Roman Empire which left its mark on law, language, engineering, architecture, and government. During the pax romana, the Roman Empire expanded to encompass the entire Mediterranean Basin and much of Europe. Stoicism influenced Roman emperors such as Hadrian, Antoninus Pius, and Marcus Aurelius, who all spent time on the Empire's northern border fighting Germanic, Pictish and Scottish tribes. Christianity was eventually legitimised by Constantine I after three centuries of imperial persecution. Roland pledges fealty to Charlemagne, Holy Roman Emperor. During the decline of the Roman Empire, Europe entered a long period of change arising from what historians call the "Age of Migrations". There were numerous invasions and migrations amongst the Ostrogoths, Visigoths, Goths, Vandals, Huns, Franks, Angles, Saxons, Slavs, Avars, Bulgars and, later still, the Vikings and Magyars. Renaissance thinkers such as Petrarch would later refer to this as the "Dark Ages". Isolated monastic communities were the only places to safeguard and compile written knowledge accumulated previously; apart from this very few written records survive and much literature, philosophy, mathematics, and other thinking from the classical period disappeared from Europe. During the Dark Ages, the Western Roman Empire fell under the control of various tribes. The Germanic and Slav tribes established their domains over Western and Eastern Europe respectively. Eventually the Frankish tribes were united under Clovis I. Charlemagne, a Frankish king of the Carolingian dynasty who had conquered most of Western Europe, was anointed "Holy Roman Emperor" by the Pope in 800. This led to the founding of the Holy Roman Empire, which eventually became centred in the German principalities of central Europe. The predominantly Greek speaking Eastern Roman Empire became known in the west as the Byzantine Empire. Its capital was Constantinople. Emperor Justinian I presided over Constantinople's first golden age: he established a legal code, funded the construction of the Hagia Sophia and brought the Christian church under state control. Fatally weakened by the sack of Constantinople during the Fourth Crusade, the Byzantines fell in 1453 when they were conquered by the Ottoman Empire. The economic growth of Europe around the year 1000, together with the lack of safety on the mainland trading routes, made possible the development of major commercial routes along the coast of the Mediterranean Sea. In this context, the growing independence acquired by some coastal cities gave the Maritime Republics a leading role in the European scene. The Papacy reached the height of its power during the High Middle Ages. A East-West Schism in 1054 split the former Roman Empire religiously, with the Eastern Orthodox Church in the Byzantine Empire and the Roman Catholic Church in the former Western Roman Empire. In 1095 Pope Urban II called for a crusade against Muslims occupying Jerusalem and the Holy Land. In Europe itself, the Church organised the Inquisition against heretics. In Spain, the Reconquista concluded with the fall of Granada in 1492, ending over seven centuries of Muslim presence in the Iberian Peninsula. The Battle of Crécy in 1346, from a manuscript of Jean Froissart's Chronicles; the battle established England as a military power. In the 11th and 12th centuries, constant incursions by nomadic Turkic tribes, such as the Pechenegs and the Kipchaks, caused a massive migration of Slavic populations to the safer, heavily forested regions of the north. Like many other parts of Eurasia, these territories were overrun by the Mongols. The invaders, later known as Tatars, formed the state of the Golden Horde, which ruled the southern and central expanses of Russia for over three centuries. The plague had a devastating effect on Europe's social structure; it induced people to live for the moment as illustrated by Giovanni Boccaccio in The Decameron (1353). It was a serious blow to the Roman Catholic Church and led to increased persecution of Jews, foreigners, beggars and lepers. The plague is thought to have returned every generation with varying virulence and mortalities until the 18th century. During this period, more than 100 plague epidemics swept across Europe. The Renaissance was a period of cultural change originating in Florence and later spreading to the rest of Europe. in the 14th century. The rise of a new humanism was accompanied by the recovery of forgotten classical Greek and Arabic knowledge from monastic libraries, often re-translanted from Arabic into Latin. The Renaissance spread across Europe between the 14th and 16th centuries: it saw the flowering of art, philosophy, music, and the sciences, under the joint patronage of royalty, the nobility, the Roman Catholic Church, and an emerging merchant class. Patrons in Italy, including the Medici family of Florentine bankers and the Popes in Rome, funded prolific quattrocento and cinquecento artists such as Raphael, Michelangelo, and Leonardo da Vinci. Political intrigue within the Church in the mid-14th century caused the Great Schism. During this forty-year period, two popes—one in Avignon and one in Rome—claimed rulership over the Church. Although the schism was eventually healed in 1417, the papacy's spiritual authority had suffered greatly. The Church's power was further weakened by the Protestant Reformation (1517–1648), initially sparked by the works of German theologian Martin Luther, a result of the lack of reform within the Church. The Reformation also damaged the Holy Roman Empire's power, as German princes became divided between Protestant and Roman Catholic faiths. This eventually led to the Thirty Years War (1618–1648), which crippled the Holy Roman Empire and devastated much of Germany, killing between 25 and 40 percent of its population. In the aftermath of the Peace of Westphalia, France rose to predominance within Europe. The 17th century in southern and eastern Europe was a period of general decline. Eastern Europe experienced more than 150 famines in a 200-year period between 1501 to 1700. The Renaissance and the New Monarchs marked the start of an Age of Discovery, a period of exploration, invention, and scientific development. According to Peter Barrett, "It is widely accepted that 'modern science' arose in the Europe of the 17th century (towards the end of the Renaissance), introducing a new understanding of the natural world." In the 15th century, Portugal and Spain, two of the greatest naval powers of the time, took the lead in exploring the world. Christopher Columbus reached the New World in 1492, and soon after the Spanish and Portuguese began establishing colonial empires in the Americas. France, the Netherlands and England soon followed in building large colonial empires with vast holdings in Africa, the Americas, and Asia. The Age of Enlightenment was a powerful intellectual movement during the 18th century promoting scientific and reason-based thoughts. Discontent with the aristocracy and clergy's monopoly on political power in France resulted in the French Revolution and the establishment of the First Republic as a result of which the monarchy and many of the nobility perished during the initial reign of terror. Napoleon Bonaparte rose to power in the aftermath of the French Revolution and established the First French Empire that, during the Napoleonic Wars, grew to encompass large parts of Europe before collapsing in 1815 with the Battle of Waterloo. Napoleonic rule resulted in the further dissemination of the ideals of the French Revolution, including that of the nation-state, as well as the widespread adoption of the French models of administration, law, and education. The Congress of Vienna, convened after Napoleon's downfall, established a new balance of power in Europe centred on the five "Great Powers": the United Kingdom, France, Prussia, Habsburg Austria, and Russia. This balance would remain in place until the Revolutions of 1848, during which liberal uprisings affected all of Europe except for Russia and the United Kingdom. These revolutions were eventually put down by conservative elements and few reforms resulted. In 1867, the Austro-Hungarian empire was formed; and 1871 saw the unifications of both Italy and Germany as nation-states from smaller principalities. Likewise, in 1878 the Congress of Berlin has conveyed formal recognition to the de facto independent principalities of Montenegro, Serbia and Romania. The Industrial Revolution started in Great Britain in the last part of the 18th century and spread throughout Europe. The invention and implementation of new technologies resulted in rapid urban growth, mass employment, and the rise of a new working class. Reforms in social and economic spheres followed, including the first laws on child labour, the legalisation of trade unions, and the abolition of slavery. In Britain, the Public Health Act 1875 was passed, which significantly improved living conditions in many British cities. Europe’s population population increased from about 100 million in 1700 to 400 million by 1900. In the 19th century, 70 million people left Europe in migrations to various European colonies abroad and to the United States. Two World Wars and an economic depression dominated the first half of the 20th century. World War I was fought between 1914 and 1918. It started when Archduke Franz Ferdinand of Austria was assassinated by the Bosnian Serb Gavrilo Princip. Most European nations were drawn into the war, which was fought between the Entente Powers (France, Belgium, Serbia, Portugal, Russia, the United Kingdom, and later Italy, Greece, Romania, and the United States) and the Central Powers (Austria-Hungary, Germany, Bulgaria, and the Ottoman Empire). The War left more than 16 million civilians and military dead. Over 60 million European soldiers were mobilised from 1914–1918. Ruins of Guernica (1937). The Spanish civil war claimed the lives of over 500,000 people. Partly as a result of its defeat Russia was plunged into the Russian Revolution, which threw down the Tsarist monarchy and replaced it with the communist Soviet Union. Austria-Hungary and the Ottoman Empire collapsed and broke up into separate nations, and many other nations had their borders redrawn. The Treaty of Versailles, which officially ended World War I in 1919, was harsh towards Germany, upon whom it placed full responsibility for the war and imposed heavy sanctions. Economic instability, caused in part by debts incurred in the First World War and 'loans' to Germany played havoc in Europe in the late 1920s and 1930s. This and the Wall Street Crash of 1929 brought about the worldwide Great Depression. Helped by the economic crisis, social instability and the threat of communism, fascist movements developed throughout Europe placing Adolf Hitler of Nazi Germany, Francisco Franco of Spain and Benito Mussolini of Italy in power. Up to eight million people may have died in the Soviet famine of 1932–33. Stalin's Great Terror began in December 1934. By the time the purges subsided in 1938, millions of Soviet citizens had been executed, imprisoned, or exiled. In 1933, Hitler became the leader of Germany and began to work towards his goal of building Greater Germany. Germany re-expanded and took back the Saarland and Rhineland in 1935 and 1936. In 1938, Austria became a part of Germany too, following the Anschluss. Later that year, following the Munich Agreement, Germany annexed the Sudetenland, which was a part of Czechoslovakia inhabited by ethnic Germans. At the time, Britain and France preferred a policy of appeasement. Burned-out buildings in Hamburg, 1944 or 45. Shortly afterwards, Poland and Hungary started to press for the annexation of parts of Czechoslovakia with Polish and Hungarian majorities. Hitler encouraged the Slovaks to do the same and in early 1939, the remainder of Czechoslovakia was split into the Protectorate of Bohemia and Moravia, controlled by Germany, and the Slovak Republic, while other smaller regions went to Poland and Hungary. With tensions mounting between Germany and Poland over the future of Danzig, the Germans turned to the Soviets, and signed the Molotov-Ribbentrop Pact. Germany invaded Poland on 1 September 1939, prompting France and the United Kingdom to declare war on Germany on 3 September, opening the European theatre of World War II. The Soviet invasion of Poland started on 17 September and Poland fell soon thereafter. On 24 September, the Soviet Union attacked the Baltic countries and later, Finland. The British hoped to land at Narvik and send troops to aid Finland, but their primary objective in the landing was to encircle Germany and cut the Germans off from Scandinavian resources. Nevertheless, the Germans knew of Britain's plans and got to Narvik first, repulsing the attack. Around the same time, Germany moved troops into Denmark, which left no room for a front except for where the last war had been fought or by landing at sea. The Phoney War continued. In May 1940, Germany attacked France through the Low Countries. France capitulated in June 1940. However, the British refused to negotiate peace terms with the Germans and the war continued. By August Germany began a bombing offensive on Britain, but failed to convince the Britons to give up. In 1941, Germany invaded the Soviet Union in the ultimately unsuccessful Operation Barbarossa. On 7 December 1941 Japan's attack on Pearl Harbor drew the United States into the conflict as allies of the British Empire and other allied forces. After the staggering Battle of Stalingrad in 1943, the German offensive in the Soviet Union turned into a continual fallback. In 1944, British and American forces invaded France in the D-Day landings, opening a new front against Germany. Berlin finally fell in 1945, ending World War II in Europe. The war was the largest and most destructive in human history, with 60 million dead across the world. More than 40 million people in Europe had died as a result of the war by the time World War II ended, including between 11 and 17 million people who perished during the Holocaust. The Soviet Union lost around 27 million people during the war, about half of all World War II casualties. By the end of World War II, Europe had more than 40 million refugees. Several post-war expulsions in Central and Eastern Europe displaced a total of about 20 million people. World War I and especially World War II diminished the eminence of Western Europe in world affairs. After World War II the map of Europe was redrawn at the Yalta Conference and divided into two blocs, the Western countries and the communist Eastern bloc, separated by what was later called by Winston Churchill an "iron curtain". The United States and Western Europe established the NATO alliance and later the Soviet Union and Eastern Europe established the Warsaw Pact. The two new superpowers, the United States and the Soviet Union, became locked in a fifty-year long Cold War, centred on nuclear proliferation. At the same time decolonisation, which had already started after World War I, gradually resulted in the independence of most of the European colonies in Asia and Africa. In the 1980s the reforms of Mikhail Gorbachev and the Solidarity movement in Poland accelerated the collapse of the Eastern bloc and the end of the Cold War. Germany was reunited, after the symbolic fall of the Berlin Wall in 1989, and the maps of Eastern Europe were redrawn once more. European integration also grew after World War II. The Treaty of Rome in 1957 established the European Economic Community between six Western European states with the goal of a unified economic policy and common market. In 1967 the EEC, European Coal and Steel Community and Euratom formed the European Community, which in 1993 became the European Union. The EU established a parliament, court and central bank and introduced the euro as a unified currency. In 2004 and 2007, Eastern European countries began joining, expanding the EU to its current size of 27 European countries, and once more making Europe a major economical and political centre of power. Europe makes up the western fifth of the Eurasian landmass. Land relief in Europe shows great variation within relatively small areas. The southern regions are more mountainous, while moving north the terrain descends from the high Alps, Pyrenees, and Carpathians, through hilly uplands, into broad, low northern plains, which are vast in the east. This extended lowland is known as the Great European Plain, and at its heart lies the North German Plain. An arc of uplands also exists along the north-western seaboard, which begins in the western parts of the islands of Britain and Ireland, and then continues along the mountainous, fjord-cut, spine of Norway. Europe lies mainly in the temperate climate zones, being subjected to prevailing westerlies. The climate is milder in comparison to other areas of the same latitude around the globe due to the influence of the Gulf Stream. The Gulf Stream is nicknamed "Europe's central heating", because it makes Europe's climate warmer and wetter than it would otherwise be. The Gulf Stream not only carries warm water to Europe's coast but also warms up the prevailing westerly winds that blow across the continent from the Atlantic Ocean. Therefore the average temperature throughout the year of Naples is 16 °C (60.8 °F), while it is only 12 °C (53.6 °F) in New York City which is almost on the same latitude. Berlin, Germany; Calgary, Canada; and Irkutsk, in the Asian part of Russia, lie on around the same latitude; January temperatures in Berlin average around 8 °C (15 °F) higher than those in Calgary, and they are almost 22 °C (40 °F) higher than average temperatures in Irkutsk. Europe's most significant feature is the dichotomy between highland and mountainous Southern Europe and a vast, partially underwater, northern plain ranging from Ireland in the west to the Ural Mountains in the east. These two halves are separated by the mountain chains of the Pyrenees and Alps/Carpathians. The northern plains are delimited in the west by the Scandinavian Mountains and the mountainous parts of the British Isles. Major shallow water bodies submerging parts of the northern plains are the Celtic Sea, the North Sea, the Baltic Sea complex and Barents Sea. The geological history of Europe traces back to the formation of the Baltic Shield (Fennoscandia) and the Sarmatian craton, both around 2.25 billion years ago, followed by the Volgo-Uralia shield, the three together leading to the East European craton (≈ Baltica) which became a part of the supercontinent Columbia. Around 1.1 billion years ago, Baltica and Arctica (as part of the Laurentia block) became joined to Rodinia, later resplitting around 550 million years ago to reform as Baltica. Around 440 million years ago Euramerica was formed from Baltica and Laurentia; a further joining with Gondwana then leading to the formation of Pangea. Around 190 million years ago, Gondwana and Laurasia split apart due to the widening of the Atlantic Ocean. Finally, and very soon afterwards, Laurasia itself split up again, into Laurentia (North America) and the Eurasian continent. The land connection between the two persisted for a considerable time, via Greenland, leading to interchange of animal species. From around 50 million years ago, rising and falling sea levels have determined the actual shape of Europe, and its connections with continents such as Asia. Europe's present shape dates to the late Tertiary period about five million years ago. Probably 80 to 90 per cent of Europe was once covered by forest. It stretched from the Mediterranean Sea to the Arctic Ocean. Though over half of Europe's original forests disappeared through the centuries of deforestation, Europe still has over one quarter of its land area as forest, such as the taiga of Scandinavia and Russia, mixed rainforests of the Caucasus and the Cork oak forests in the western Mediterranean. During recent times, deforestation has been slowed and many trees have been planted. However, in many cases monoculture plantations of conifers have replaced the original mixed natural forest, because these grow quicker. The plantations now cover vast areas of land, but offer poorer habitats for many European forest dwelling species which require a mixture of tree species and diverse forest structure. The amount of natural forest in Western Europe is just 2–3% or less, in European Russia 5–10%. The country with the smallest percentage of forested area is Iceland (1%), while the most forested country is Finland (77%). Glaciation during the most recent ice age and the presence of man affected the distribution of European fauna. As for the animals, in many parts of Europe most large animals and top predator species have been hunted to extinction. The woolly mammoth was extinct before the end of the Neolithic period. Today wolves (carnivores) and bears (omnivores) are endangered. Once they were found in most parts of Europe. However, deforestation and hunting caused these animals to withdraw further and further. By the Middle Ages the bears' habitats were limited to more or less inaccessible mountains with sufficient forest cover. Today, the brown bear lives primarily in the Balkan peninsula, Scandinavia, and Russia; a small number also persist in other countries across Europe (Austria, Pyrenees etc. ), but in these areas brown bear populations are fragmented and marginalised because of the destruction of their habitat. In addition, polar bears may be found on Svalbard, a Norwegian archipelago far north of Scandinavia. The wolf, the second largest predator in Europe after the brown bear, can be found primarily in Eastern Europe and in the Balkans, with a handful of packs in pockets of Western Europe (Scandinavia, Spain, etc.). Important European herbivores are snails, larvae, fish, different birds, and mammals, like rodents, deer and roe deer, boars, and living in the mountains, marmots, steinbocks, chamois among others. Regional grouping used by the United Nations Statistics Department. The list below includes all entities falling even partially under any of the various common definitions of Europe, geographic or political. The data displayed are per sources in cross-referenced articles. The 27 European Union member states are highly integrated, economically and politically; the European Union itself forms part of the political geography of Europe. European integration is the process of political, legal, economic (and in some cases social and cultural) integration of states wholly or partially in Europe. In the present day, European integration has primarily come about through the Council of Europe and European Union in Western and Central Europe and Commonwealth of Independent States in Eastern Europe and most of former Soviet countries. As a continent, the economy of Europe is currently the largest on Earth and it is the richest region as measured by assets under management with over $32.7 trillion compared to North America's $27.1 trillion in 2008. In 2009 Europe remained the wealthiest region. Its $37.1 trillion in assets under management represented one-third of the world’s wealth. It was one of several regions where wealth surpassed its precrisis year-end peak. As with other continents, Europe has a large variation of wealth among its countries. The richer states tend to be in the West; some of the Eastern economies are still emerging from the collapse of the Soviet Union and Yugoslavia. The European Union, an intergovernmental body composed of 27 European states, comprises the largest single economic area in the world. Currently, 16 EU countries share the euro as a common currency. Five European countries rank in the top ten of the worlds largest national economies in GDP (PPP). This includes (ranks according to the CIA): Germany (5), the UK (6), Russia (7), France (8), and Italy (10). After World War II the economy of the UK was in a state of ruin, and continued to suffer relative economic decline in the following decades. Italy was also in a poor economic condition but regained a high level of growth by the 1950s. West Germany recovered quickly and had doubled production from pre-war levels by the 1950s. France also staged a remarkable comeback enjoying rapid growth and modernisation; later on Spain, under the leadership of Franco, also recovered, and the nation recorded huge unprecedented economic growth beginning in the 1960s in what is called the Spanish miracle. The majority of Eastern European states came under the control of the USSR and thus were members of the Council for Mutual Economic Assistance (COMECON). With the fall of communism in Eastern Europe in 1991, the Eastern states had to adapt to a free market system. There were varying degrees of success with Central European countries such as Poland, Hungary, and Slovenia adapting reasonably quickly, while eastern states like Ukraine and Russia taking far longer. Unemployment in the European Union in 2010, according to Eurostat. By the millennium change, the EU dominated the economy of Europe comprising the five largest European economies of the time namely Germany, the United Kingdom, France, Italy, and Spain. In 1999 12 of the 15 members of the EU joined the Eurozone replacing their former national currencies by the common euro. The three who chose to remain outside the Eurozone were: the United Kingdom, Denmark, and Sweden. The Eurozone entered its first official recession in the third quarter of 2008, official figures confirmed in January 2009. While beginning in the United States the late-2000s recession spread to Europe rapidly and has affected much of the region. The official unemployment rate in the 16 countries that use the euro rose to 9.5% in May 2009. Europe's young workers have been especially hard hit. In the first quarter of 2009, the unemployment rate in the EU27 for those aged 15–24 was 18.3%. In early 2010 fears of a sovereign debt crisis developed concerning some countries in Europe, especially Greece, Ireland, Spain, and Portugal. As a result, measures were taken especially for Greece by the leading countries of the Eurozone. Since the Renaissance, Europe has had a major influence in culture, economics and social movements in the world. The most significant inventions had their origins in the Western world, primarily Europe and the United States. In 1900, Europe's share of the world's population was 25%. Approximately 70 million Europeans died through war, violence and famine between 1914 and 1945. Some current and past issues in European demographics have included religious emigration, race relations, economic immigration, a declining birth rate and an aging population. In some countries, such as Ireland and Poland, access to abortion is currently limited; in the past, such restrictions and also restrictions on artificial birth control were commonplace throughout Europe. Abortion remains illegal on the island of Malta where Catholicism is the state religion. Furthermore, three European countries (the Netherlands, Belgium, and Switzerland) and the Autonomous Community of Andalusia (Spain) have allowed a limited form of voluntary euthanasia for some terminally ill people. In 2005, the population of Europe was estimated to be 731 million according to the United Nations, which is slightly more than one-ninth of the world's population. A century ago, Europe had nearly a quarter of the world's population. The population of Europe has grown in the past century, but in other areas of the world (in particular Africa and Asia) the population has grown far more quickly. Among the continents, Europe has a relatively high population density, second only to Asia. The most densely populated country in Europe is the Netherlands, ranking third in the world after Bangladesh and South Korea. Pan and Pfeil (2004) count 87 distinct "peoples of Europe", of which 33 form the majority population in at least one sovereign state, while the remaining 54 constitute ethnic minorities. According to UN population projection, Europe's population may fall to about 7% of world population by 2050, or 653 million people (medium variant, 556 to 777 million in low and high variants, respectively). Within this context, significant disparities exist between regions in relation to fertility rates. The average number of children per female of child bearing age is 1.52. According to some sources, this rate is higher among Muslims in Europe. The UN predicts the steady population decline of vast areas of Eastern Europe. Russia's population is declining by at least 700,000 people each year. The country now has 13,000 uninhabited villages. Europe is home to the highest number of migrants of all global regions at 70.6 million people, the IOM's report said. In 2005, the EU had an overall net gain from immigration of 1.8 million people, despite having one of the highest population densities in the world. This accounted for almost 85% of Europe's total population growth. The European Union plans to open the job centres for legal migrant workers from Africa. In 2008, 696,000 persons were given citizenship of an EU27 member state, a decrease from 707,000 the previous year. The largest groups that acquired citizenship of an EU member state were citizens of Morocco, Turkey, Ecuador, Algeria and Iraq. Emigration from Europe began with Spanish settlers in the 16th century, and French and English settlers in the 17th century. But numbers remained relatively small until waves of mass emigration in the 19th century, when millions of poor families left Europe. Today, large populations of European descent are found on every continent. European ancestry predominates in North America, and to a lesser degree in South America (particularly in Argentina, Brazil, Chile, and Uruguay, while most of the other Latin American countries also have a considerable population of European origins). Australia and New Zealand have large European derived populations. Africa has no countries with European-derived majorities (or with the exception of Cabo Verde and probably São Tomé and Príncipe, depending on the context), but there are significant minorities, such as the White South Africans. In Asia, European-derived populations predominate in Northern Asia (specifically Russians), some parts of Northern Kazakhstan and Israel. Additionally, transcontinental and geographically Asian countries such as Georgia, Armenia, Azerbaijan, Cyprus and Turkey have populations historically closely related to Europeans, with considerable genetic and cultural affinity. Map of major European languages. Romance languages are spoken primarily in south-western Europe as well as in Romania and Moldova, in Central or Eastern Europe. Germanic languages are spoken in north-western Europe and some parts of Central Europe. Slavic languages are spoken in Central, Eastern, and Southeastern Europe. Many other languages outside the three main groups exist in Europe. Other Indo-European languages include the Baltic group (that is, Latvian and Lithuanian), the Celtic group (that is, Irish, Scottish Gaelic, Manx, Welsh, Cornish, and Breton), Greek, Armenian, and Albanian. In addition, a distinct group of Uralic languages (Estonian, Finnish, and Hungarian) is spoken mainly in Estonia, Finland, and Hungary, while Kartvelian languages (Georgian, Mingrelian, and Svan), are spoken primarily in Georgia. Maltese is the only Semitic language that is official within the EU, while Basque is the only European language isolate. Turkic languages include Azerbaijani and Turkish, in addition to the languages of minority nations in Russia. Historically, religion in Europe has been a major influence on European art, culture, philosophy and law. The largest religion in Europe is Christianity as practiced by Catholic, Eastern Orthodox and Protestant Churches. Following these is Islam concentrated mainly in the south east (Bosnia and Herzegovina, Albania, Kosovo, Kazakhstan, North Cyprus, Turkey and Azerbaijan), and Tibetan Buddhism, found in Kalmykia. Other religions including Judaism and Hinduism are minority religions. Europe is a relatively secular continent and has an increasing number and proportion of irreligious, agnostic and atheistic people, actually the largest in the Western world, with a particularly high number of self-described non-religious people in the Czech Republic, Estonia, Sweden, Germany (East), and France. The culture of Europe can be described as a series of overlapping cultures; cultural mixes exist across the continent. There are cultural innovations and movements, sometimes at odds with each other. Thus the question of "common culture" or "common values" is complex. The foundation of European culture was laid by the Greeks, strengthened by the Romans, stabilised by Christianity, reformed by the 15th-century Renaissance and Reformation, modernised by the 18th century Age of Enlightenment and globalised by successive European empires between the 16th and 20th centuries. ^ Continental regions as per UN categorisations/map. Depending on definitions, various territories cited below may be in one or both of Europe and Asia, or Africa. ^ Russia is considered a transcontinental country in Eastern Europe and Northern Asia. However the population and area figures include the entire state. ^ a b Cyprus is physiographically entirely in Southwest Asia but has strong historical and sociopolitical connections with Europe. The population and area figures refer to the entire state, including the de facto independent part Northern Cyprus which is not recognized as a sovereign nation by the vast majority of sovereign nations, nor the UN. ^ Figures for Serbia include Kosovo, a province that unilaterally declared its independence from Serbia on 17 February 2008, and whose sovereign status is unclear. ^ Netherlands population for July 2004. Population and area details include European portion only: Netherlands and two entities outside Europe (Aruba and the Netherlands Antilles, in the Caribbean) constitute the Kingdom of the Netherlands. Amsterdam is the official capital, while The Hague is the administrative seat. ^ Kazakhstan is physiographically considered a transcontinental country, mostly in Central Asia (UN region), partly in Eastern Europe, with European territory west of the Ural Mountains and Ural River. However, area and population figures refer to the entire country. ^ Azerbaijan is physiographically considered a transcontinental country mostly in Western Asia with a small part in Eastern Europe. However the population and area figures are for the entire state. This includes the exclave of Nakhchivan and the region Nagorno-Karabakh that has declared, and de facto achieved, independence. Nevertheless, it is not recognised de jure by sovereign states. ^ Turkey is physiographically considered a transcontinental country, mostly in Western Asia, partly in Eastern Europe. However the population and area figures include the entire state. ^ a b Abkhazia and South Ossetia, both generally considered to be entirely within Southwest Asia, unilaterally declared their independence from Georgia on 25 August 1990 and 28 November 1991 respectively. Their status as sovereign nations is not recognized by a vast majority of sovereign nations, nor the UN. Population figures stated as of 2003 census and 2000 estimates respectively. ^ Nagorno-Karabakh, generally considered to be entirely within Southwest Asia, unilaterally declared its independence from Azerbaijan on 6 January 1992. Its status as a sovereign nation is not recognized by any sovereign nation, nor the UN. Population figures stated as of 2003 census and 2000 estimates respectively. ^ OED Online gives the pronunciation of "Europe" as: Brit. ˈjʊərəp, ˈjɔːrəp, U.S. ˈjərəp, ˈjurəp. ^ National Geographic Atlas of the World (7th ed.). Washington, DC: National Geographic. 1999. ISBN 0-7922-7528-4. "Europe" (pp. 68-9); "Asia" (pp. 90-1): "A commonly accepted division between Asia and Europe ... is formed by the Ural Mountains, Ural River, Caspian Sea, Caucasus Mountains, and the Black Sea with its outlets, the Bosporus and Dardanelles." ^ Lewis, Martin W.; Wigen, Kären (1997). The myth of continents: a critique of metageography. University of California Press. ISBN 0-520-20743-2. ^ Davies, Norman (1996). Europe: A History, by Norman Davies, p. 8. ISBN 9780198201717. http://books.google.com/books?id=jrVW9W9eiYMC&pg=PA8&dq=%22suggested+that+Europe%27s+boundary%22. Retrieved 2010-08-23. ^ a b Microsoft Encarta Online Encyclopaedia 2007. "Europe". Europe. http://encarta.msn.com/encyclopaedia_761570768/Europe.html. Retrieved 27 December 2007. ^ See, e.g., Merje Kuus, 'Europe's eastern expansion and the re-inscription of otherness in East-Central Europe' Progress in Human Geography, Vol. 28, No. 4, 472–489 (2004), József Böröcz, 'Goodness Is Elsewhere: The Rule of European Difference', Comparative Studies in Society and History, 110–36, 2006, or Attila Melegh, On the East-West Slope: Globalisation, nationalism, racism and discourses on Central and Eastern Europe, Budapest: Central European University Press, 2006. ^ "About the Council of Europe". Council of Europe. Archived from the original on 16 May 2008. http://web.archive.org/web/20080516024649/http://www.coe.int/T/e/Com/about_coe/. Retrieved 9 June 2008. ^ The map shows one of the most commonly accepted delineations of the geographical boundaries of Europe, as used by National Geographic and Encyclopaedia Britannica. Whether countries are considered in Europe or Asia can vary in sources, for example in the classification of the CIA World Factbook or that of the BBC. Note also that certain countries in Europe, such as France, have territories lying geographically outside Europe, but which are nevertheless considered integral parts of that country. ^ "Etymonline: European". http://www.etymonline.com/index.php?term=European. Retrieved 10 September 2006. ^ M. L. West (1997). The east face of Helicon: west Asiatic elements in Greek poetry and myth. Oxford: Clarendon Press. p. 451. ISBN 0-19-815221-3. ^ Davidson, Roderic H. (1960). "Where is the Middle East?". Foreign Affairs 38 (4): 665–675. doi:10.2307/20029452. JSTOR 20029452. ^ A. Vekua, D. Lordkipanidze, G. P. Rightmire, J. Agusti, R. Ferring, G. Maisuradze, et al. (2002). "A new skull of early Homo from Dmanisi, Georgia". Science 297 (5578): 85–9. doi:10.1126/science.1072953. PMID 12098694. ^ V Yotova, J-F Lefebvre, C Moreau, E Gbhea, K Hovhannesyan, S Bourgeouis, S Bédarida, L Azevedo, A Amorim, T Sarkasian, PH Avogbe, N Chabi, MH Dicko, ESKS Amouzou, A Sanni, J Roberts-Thomson, B Boettcher, RJ Scott, D Labuda (2011). "An X-Linked Haplotype of Neandertal Origin Is Present Among All Non-African Populations". Molecular Biology and Evolution 28 (7): 1957-1963. doi:10.1093/molbev/msr024. PMID 21266489. ^ RE Green, J Krause, AW Briggs, T Maricic, U Stenzel, M Kircher, N Patterson, H Li, W Zhai, M H-Y Fritz, NF Hansen, EY Durand, A-S Malaspinas, JD Jensen, T Marques-Bonet, C Alkan, K Prüfer, M Meyer, HA Burbano, JM Good, R Schultz, A Aximu-Petri, A Butthof, B Höber, B Höffner, M Siegemund, A Weihmann, C Nusbaum, ES Lander, C Russ, N Novod, J Affourtit, M Egholm, C Verna, P Rudan, D Brajkovic, Ž Kucan, I Gušic, VB Doronichev, LV Golovanova, C Lalueza-Fox, M de la Rasilla, J Fortea, A Rosas, RW Schmitz, PLF Johnson, EE Eichler, D Falush, E Birney, JC Mullikin, M Slatkin, R Nielsen, J Kelso, M Lachmann, D Reich, S Pääbo (2010). "A Draft Sequence of the Neandertal Genome". Science 328 (5979): 710-722. doi:10.1126/science.1188021. PMID 20448178. ^ a b National Geographic, 76. ^ , Journal of the History of Ideas, Vol. 4, No. 1. (Jan., 1943), pp. 69–74. ^ Klyuchevsky, Vasily (1987). The course of the Russian history. v.1: "Myslʹ. ISBN 5-244-00072-1. http://www.kulichki.com/inkwell/text/special/history/kluch/kluch16.htm. ^ "Khanate of the Golden Horde (Kipchak)". Alamo Community Colleges. http://www.accd.edu/sac/history/keller/Mongols/states3.html. Retrieved 10 June 2008. ^ The Late Middle Ages. Oglethorpe University. ^ "Plague, Plague Information, Black Death Facts, News, Photos – National Geographic". Science.nationalgeographic.com. http://science.nationalgeographic.com/science/health-and-human-body/human-diseases/plague-article.html. ^ "Epidemics of the Past: Bubonic Plague — Infoplease.com". Infoplease.com. http://www.infoplease.com/cig/dangerous-diseases-epidemics/bubonic-plague.html. Retrieved 3 November 2008. ^ Jo Revill (16 May 2004). "Black Death blamed on man, not rats | UK news | The Observer". London: The Observer. http://www.guardian.co.uk/uk/2004/may/16/health.books. Retrieved 3 November 2008. ^ Jacob Burckhardt (1990) . The Civilisation of the Renaissance in Italy (translation by S.G.C Middlemore ed.). London, England: Penguin Books. ISBN 0-14-044534-X. http://www.boisestate.edu/courses/hy309/docs/burckhardt/burckhardt.html. ^ "The Seventeenth-Century Decline". The Library of Iberian resources online. http://libro.uca.edu/payne1/payne15.htm. Retrieved 13 August 2008. ^ Hunt, Shelby D. (2003). Controversy in marketing theory: for reason, realism, truth, and objectivity. M.E. Sharpe. p. 18. ISBN 0765609320. http://books.google.com/books?id=07lchJbdWGgC&pg=PA18&dq#v=onepage&q=&f=false. ^ John Morris Roberts (1997). Penguin History of Europe. Penguin Books. ISBN 0140265619. ^ Goldie, Mark; Wokler, Robert (2006). The Cambridge History of Eighteenth-Century Political Thought. Cambridge University Press. ISBN 0521374227. ^ Cassirer, Ernst (1979). The Philosophy of the Enlightenment. Princeton University Press. ISBN 0691019630. ^ Schama, Simon (1989). Citizens: a chronicle of the French revolution. Knopf. ISBN 0394559487. ^ McEvedy, Colin (1972). The Penguin Atlas of Modern History. Penguin Books. ISBN 0140511539. ^ Lyons, Martyn (1994). Napoleon Bonaparte and the legacy of the French Revolution. St. Martin's Press. ISBN 0312121237. ^ Grab, Alexander (2003). Napoleon and the Transformation of Europe (European History in Perspective). Palgrave MacMillan. ISBN -0-33-68275-0. ^ Davies, Norman (1996). Europe: A History. Oxford University Press. ISBN 0198201710. ^ Trevelyan, George Macaulay (1988). A shortened history of England. Penguin Books. ISBN 0-14-010241-8. ^ Webb, Sidney (1976). History of Trade Unionism. AMS Press. ISBN 0404068855. ^ Modernisation - Population Change. Encyclopædia Britannica. ^ "The Treaty of Versailles and its Consequences". James Atkinson. Archived from the original on 12 May 2008. http://web.archive.org/web/20080512224100/http://www.jimmyatkinson.com/papers/versaillestreaty.html. Retrieved 10 June 2008. ^ a b Hobsbawm, Eric (1995). The Age of Extremes: A history of the world, 1914–1991. Vintage. ISBN 9780679730057. ^ Robert Conquest (1986) The Harvest of Sorrow: Soviet Collectivization and the Terror-Famine. Oxford University Press. ISBN 0-19-505180-7, p. 306. ^ "Russia - Transformation and Terror". Library of Congress Country Studies. ^ Taylor, A.J.P. (1996). The Origins of the Second World War. Simon & Schuster. ISBN 0684829479. ^ Niewyk, Donald L. and Nicosia, Francis R. The Columbia Guide to the Holocaust, Columbia University Press, 2000, pp. 45-52. ^ "Leaders mourn Soviet wartime dead". BBC News. 9 May 2005. http://news.bbc.co.uk/2/hi/europe/4530565.stm. Retrieved 4 January 2010. ^ a b "European Climate". World Book. World Book, Inc. http://classic-web.archive.org/web/20061109230709/http://www.worldbook.com/wb/Students?content_spotlight/climates/european_climate. Retrieved 16 June 2008. 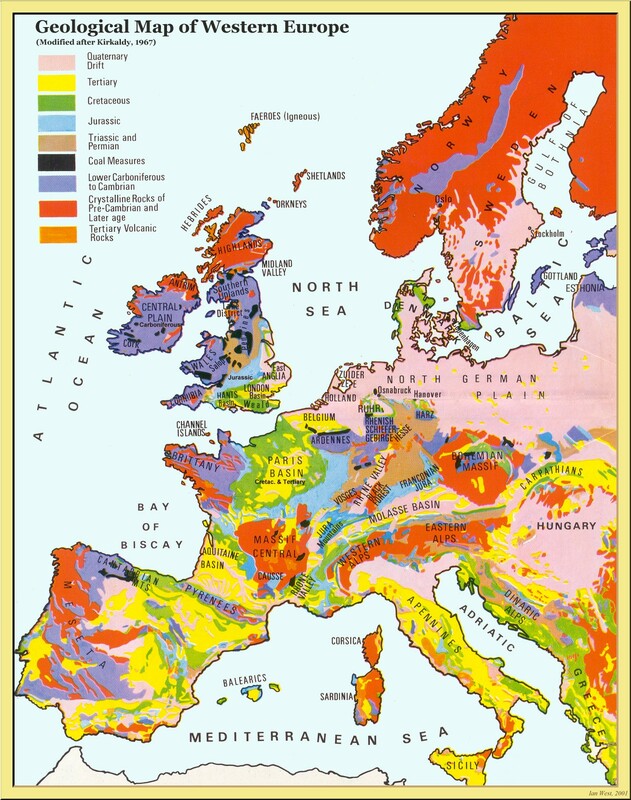 ^ "Geology map of Europe". University of Southampton. 1967. http://www.soton.ac.uk/~imw/jpg/eurogy.jpg. Retrieved 9 June 2008. ^ a b c d "Europe". Encyclopædia Britannica. 2007. http://www.britannica.com/eb/article-9106055. Retrieved 10 June 2008. ^ "History and geography". Save America's Forest Funds. http://www.saveamericasforests.org/europages/history&geography.htm. Retrieved 9 June 2008. ^ "Composition of macro geographical (continental) regions, geographical sub-regions, and selected economic and other groupings". United Nations Statistics Department. http://unstats.un.org/unsd/methods/m49/m49regin.htm. Retrieved 3 May 2011. ^ "2002 Census". Webrzs.stat.gov.rs. 2002-12-24. http://webrzs.stat.gov.rs/axd/en/popis.htm. Retrieved 2011-04-25. ^ "CIA - The World Factbook". Cia.gov. https://www.cia.gov/library/publications/the-world-factbook/geos/kv.html. Retrieved 2011-10-29. ^ Fineman, Josh (2009-09-15). "Bloomberg.com". Bloomberg.com. http://www.bloomberg.com/apps/news?pid=20601085&sid=aL5a46f2RjVA. Retrieved 2010-08-23. ^ "Global Wealth Stages a Strong Comeback". Pr-inside.com. 2010-06-10. http://www.pr-inside.com/global-wealth-stages-a-strong-comeback-r1942019.htm. Retrieved 2010-08-23. ^ "The CIA World Factbook – GDP (PPP)". CIA. 15 July 2008. https://www.cia.gov/library/publications/the-world-factbook/rankorder/2001rank.html. Retrieved 19 July 2008. ^ Steven Kreis (11 October 2006). "The Origins of the Industrial Revolution in England". The History Guide. http://www.historyguide.org/intellect/lecture17a.html. Retrieved 1 January 2007. ^ Emadi-Coffin, Barbara (2002). Rethinking International Organisation: Deregulation and Global Governance. Routledge. p. 64. ISBN 0415195403. ^ "Marshall Plan". US Department of State. http://usinfo.state.gov/products/pubs/marshallplan. Retrieved 10 June 2008. ^ EU data confirms eurozone's first recession. EUbusiness.com. 8 January 2009. ^ Euro zone unemployment reaches 15 million. CBCNews.ca. 2 July 2009. ^ Europe's New Lost Generation. Foreign Policy. 13 July 2009. ^ Youth unemployment. Eurostat. 23 July 2009. ^ Stefan Schultz (11 February 2010). "Five Threats to the Common Currency". Spiegel Online. http://www.spiegel.de/international/europe/0,1518,677214,00.html. Retrieved 28 April 2010. ^ Brian Blackstone, Tom Lauricella, and Neil Shah (5 February 2010). "Global Markets Shudder: Doubts About U.S. Economy and a Debt Crunch in Europe Jolt Hopes for a Recovery". The Wall Street Journal. http://online.wsj.com/article/SB10001424052748704041504575045743430262982.html. Retrieved 10 May 2010. ^ Lauren Frayer Contributor. "European Leaders Try to Calm Fears Over Greek Debt Crisis and Protect Euro". AOL News. http://www.aolnews.com/world/article/european-leaders-try-to-calm-fears-over-greek-debt-crisis-and-protect-euro/19469674. Retrieved 2 June 2010. ^ a b World Population Growth, 1950–2050. Population Reference Bureau. ^ a b c "World Population Prospects: The 2006 Revision Population Database". UN — Department of Economic and Social Affairs. http://esa.un.org/unpp. Retrieved 10 June 2008. ^ Christoph Pan, Beate Sibylle Pfeil,Minderheitenrechte in Europa. Handbuch der europäischen Volksgruppen (2002).Living-Diversity.eu, English translation 2004. ^ "White Europeans: An endangered species?". Yale Daily News. Archived from the original on 19 May 2008. http://web.archive.org/web/20080519224458/http://www.yaledailynews.com/articles/view/23784. Retrieved 10 June 2008. ^ "Brookings Institute Report". http://www.brookings.edu/views/op-ed/fellows/taspinar20030301.htm. See also: "Muslims in Europe: Country guide". BBC news. 23 December 2005. http://news.bbc.co.uk/1/hi/world/europe/4385768.stm. Retrieved 4 January 2010. ^ Russia faces demographic disaster. BBC News. 7 June 2006. ^ No country for old men. The Guardian. 11 February 2008. ^ "Rich world needs more foreign workers: report", FOXNews.com. 2 December 2008. ^ "Europe: Population and Migration in 2005". Migration Information Source. http://www.migrationinformation.org/Feature/display.cfm?ID=402. Retrieved 10 June 2008. ^ "EU27 Member States granted citizenship to 696 000 persons in 2008" (PDF). Eurostat. July 6, 2010. ^ Dogan, Mattei (1998). "The Decline of Traditional Values in Western Europe". International Journal of Comparative Sociology (Sage) 39: 77–90. doi:10.1177/002071529803900106. ^ European Union , the Council of Europe , British Foreign and Commonwealth Office , World Health Organization , World Tourism Organization , UNESCO , UNICEF , UNHCR , European Civil Aviation Conference , Euronews , BBC , NATO , Russian Foreign Ministry , the World Bank , Assembly of European Regions , International Air Transport Association ,Oxford Reference Online, OSCE , ICRC , Salvation Army , International Federation of Red Cross and Red Crescent Societies [dead link], Council on Foreign Relations , United States European Command , Merriam-Webster's Collegiate Dictionary  and www.worldatlas.com. ^ The UN Statistics Department  places Georgia in Western Asia for statistical convenience : "The assignment of countries or areas to specific groupings is for statistical convenience and does not imply any assumption regarding political or other affiliation of countries or territories." The CIA World Factbook ,National Geographic, and Encyclopædia Britannica also place Georgia in Asia. National Geographic (2005). National Geographic Visual History of the World. Washington, D.C.: National Geographic Society. ISBN 0-7922-3695-5.